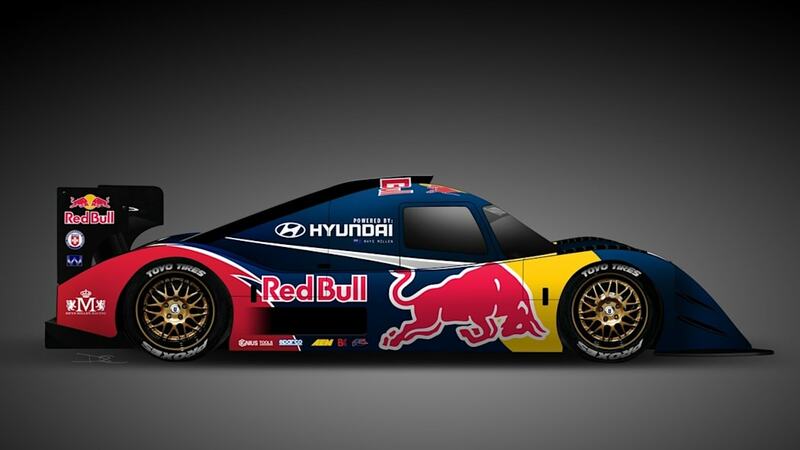 Instead, these first official renderings suggest that the Rhys Millen Racing Hyundai Genesis PM580 looks more like a Le Mans prototype than some of the cartoonish looking Suzuki or Toyota racersdriven by Nobuhiro "Monster" Tajima or Rod Millen – let alone one of the more traditional open-wheel buggies that long dominated the Peak. The PM580 uses a steel tube frame chassis wrapped in a carbon fiber skin. A turbocharged 4.1-liter Hyundai V6 producing up to 750 horsepower will put power down through an active all-wheel-drive system. The rear wing also has active trimming out on the straights to reduce drag, and it can tip up to generate additional downforce in the corners. Millen's goal is to set the first ever sub-10 minute time for the 12.42 mile "Run to the Clouds." Since you've got until June 27 until the green flag drops, why not check out the high-res gallery of renderings below and the official press release after the jump? In the world of racing, Unlimited, means "Anything Goes." Unlike other forms of motorsport (NASCAR, Indy Car, F1, etc.) the Pikes Peak International Hill Climb Unlimited Class gives teams the freedom to create any kind of race car they want to conquer the mountain without restrictions on tires, weight and horsepower. Teams can make their cars as light as possible, with an unlimited amount of horsepower and with whatever braking, drivetrain or suspension package they desire. 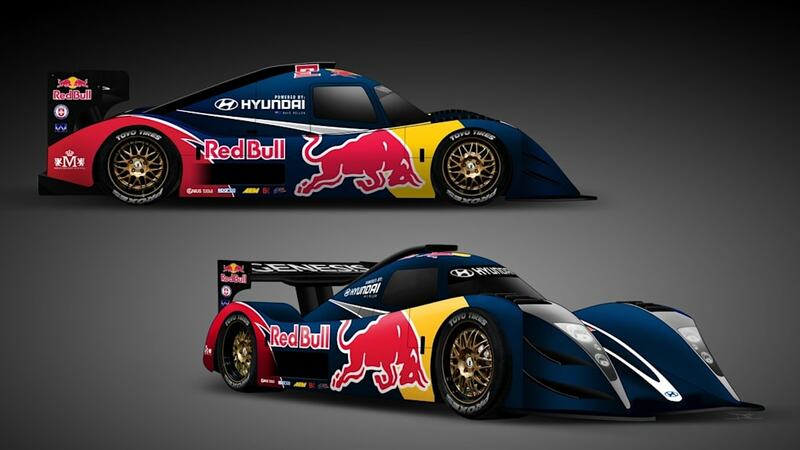 With this in mind, Rhys Millen Racing is fabricating a modern Le Mans style car with a target weight of 1,850 pounds powered by a 4.1-liter Hyundai Lambda turbocharged V6 engine. 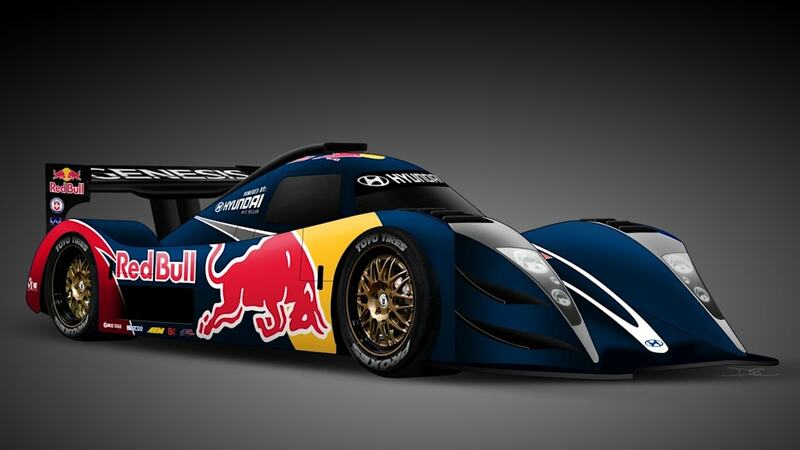 The team feels to have a competitive power-to-weight ratio, the car will need to produce 675 horsepower. Current engine testing shows the engine is capable of producing 750 horsepower, which is more than needed to tackle the mountain. The car will feature a carbon fiber aerodynamic body with an active rear wing. The wing will create less drag in the straight-aways and more stability in cornering and braking. Active wings are outlawed in other forms of racing. "We are building a car for today's road," said Millen "The car will have a sleek aerodynamic body, the grip of Toyo Proxy tires and the power and durability of a Hyundai engine. This is the package I need to break the record."